This timely book focuses on President Obama's deeply considered strategy toward Iran's nuclear program and reveals how the historic agreement of 2015 broke the persistent stalemate in negotiations that had blocked earlier efforts. The deal accomplished two major feats in one stroke: it averted the threat of war with Iran and prevented the possibility of an Iranian nuclear bomb. Trita Parsi, a Middle East foreign policy expert who advised the Obama White House throughout the talks and had access to decision-makers and diplomats on the U.S. and Iranian sides alike, examines every facet of a triumph that could become as important and consequential as Nixon's rapprochement with China. 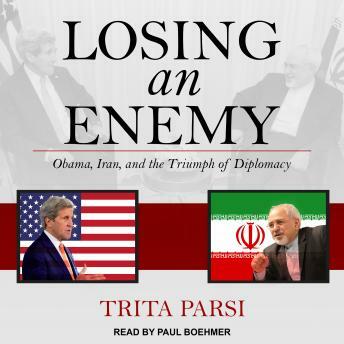 Drawing from more than seventy-five in-depth interviews with key decision-makers, including Iran's Foreign Minister Javad Zarif and U.S. Secretary of State John Kerry, this is the first authoritative account of President Obama's signature foreign policy achievement.